Star Director SS Rajamouli is currently busy with the regular shoot of his new movie RRR on one side and on the other side, he is also working on the arrangements of the wedding of his son that is going to take place on 30th December. 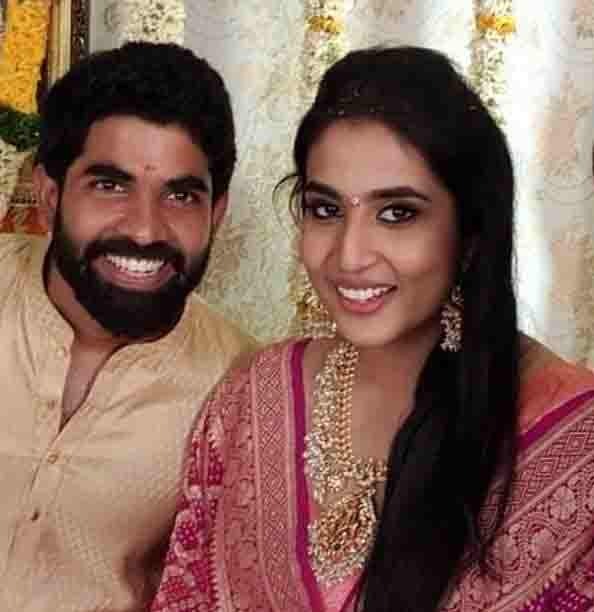 SS Rajamouli's son Karthikeya was engaged to his girlfriend Pooja Prasad in September at a private ceremony that took place at Rajamoiuli's residence in Hyderabad. Pooja Prasad is the daughter of Jagapathi Babu's brother Ram Prasad. Now, we got the information about the venue where the wedding is going to take place. Rajamouli son's wedding is going to be a destination wedding and everyone is looking forward to the grand event. The wedding will happen at the popular Hotel Fairmont, a 250-acre property built like a Mughal palace. It is a seven-star hotel where a lot of Bollywood movies were shot in the past.